A German Shepherd named Captain, who did no leave his master's grave for a decade, recently died at the same spot where the man is buried. 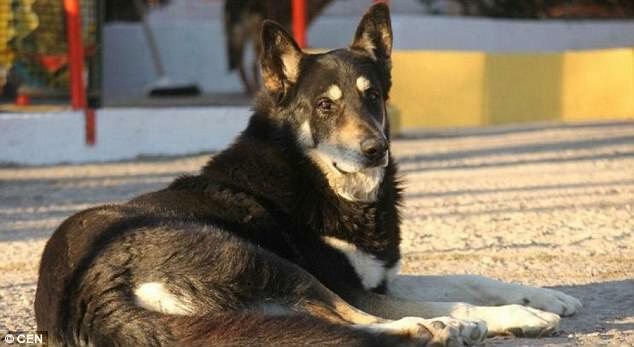 The 15-year-old dog has lived at the side of his owner's grave in the Municipal Cemetery of Villa Carlos Paz, a city in the Argentinian state of Cordoba, The Sun reported. Miguel Guzman had bought Captain as a gift for his 13-year-old son Damian in 2005. Sadly the next year Guzman passed away. Captain went missing when his family returned home from the funeral. Guzman's family assumed he ran away, but were surprised to find out where he had gone. It is unclear how Captain even found his master's grave. "He turned up here one day, all on his own, and started wandering all around the cemetery until he eventually found the tomb of his master, " Hector Baccega, director of the the cemetery, is quoted as saying by The Sun. Baccega also revealed he sometimes used to wander around the cemetery during the day, but was back at the grave at 6p.m. every night. When he was taken to the vet some time ago, it was discovered he had kidney faliure. "Unfortunately, his age and this condition (kidney failure) meant he could not hold on, " Cristhian Sempels, the vet who treated him told reporters, she thought it best to treat him in the cemetery than at a veterinary surgery. His burial details are not yet known. Some have suggested he be cremated so its ashes can be placed in an area where locals can pay tribute to this beloved dog.